Online French To English Translation: What Makes French A Difficult Language? 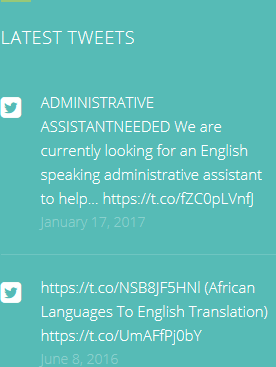 Online French to English translation is something that should be left to the experts. After all, they are the ones who have learned the language (or even languages) and who understand not only how to translate words directly, but to translate meaning too. French, for example, may at first seem easy, but there are difficulties. French is a deceptively difficult language to learn for a language translator and everyone else too. It’s ‘deceptively’ hard because at first it appears rather similar to English – in fact, English borrowed many words from the French language after the Norman invasion of 1066. However, there are differences too, and this is where the problems tend to lie. Firstly, people often have trouble with pronunciation. Luckily, for French to English translation pronunciation makes no difference as everything is written down, but it does pose a problem when learning the language initially. There are many sounds used in French that don’t exist in English, adding an extra layer of difficulty. The next issue is that some French nouns are masculine and some are feminine, unlike in English. There are some general rules regarding which is which, but, as with any language, there are exceptions so that means that those learning French literally have to remember which nouns are male and which ones are female. Eventually, the experts say, you get a feel for the words and begin to instinctively know – but that is not how it works at the beginning. The verbs in French are also tricky, as each one has a different ending depending on who is doing the verb action. Online French to English translation by experts is the best course of action for you and your business. 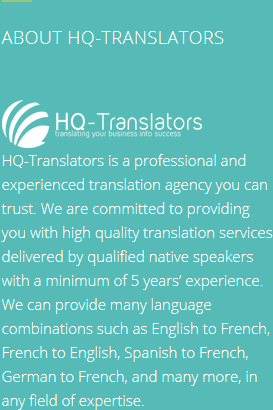 Contact HQ-Translators on (00 237) 242 71 38 38, or (00 237) 693 21 69 27, or email us on infos@hq-translators.com for more details about what we do. 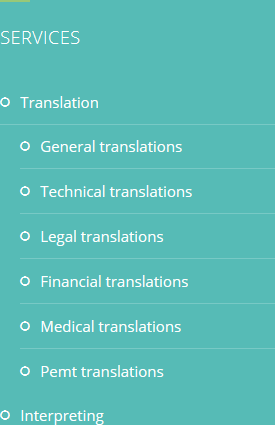 Or why not look at our website at https://hq-translators.com?